Formatted drive by mistake, deleted files by mistake, data become inaccessible, virus removed files, drive not recognized, wiped out phone/card, etc. hard drive, external hard drive, Mobile/Camera, USB Flash Drive, SD Memory Card CF Card etc. Is there any limit on the version being given away? 1. The version being given away works the same as the Full Version being sold. But it won't let you update. 2. The giveaway edition is lifetime use and would only expire when you reinstall your OS. What's the policy if I lost the giveaway edition? Only paid users can get free code after they lose their software and code. 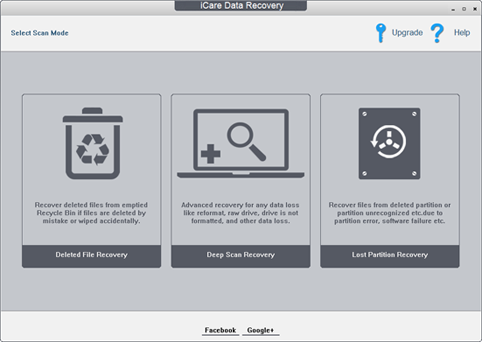 If you want to use iCare when you lose the giveaway edition, email iCare Recovery to get a discount.